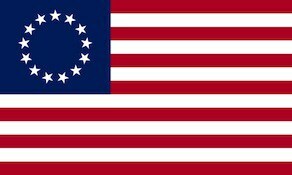 The 4th New York Regiment was authorized on May 25, 1775 and organized from June 28 to August 4 from Westchester, Dutchess, Kings, Queens, and Richmond counties for service with the Continental Army under the command of James Holmes. The enlistments of the first establishment ended on December 31, 1775. The second establishment of the regiment was authorized on January 19, 1776. Frederick von Weissenfels Frederick, Baron de Weissenfels became Lt. Colonel Commanding of the 4th New York on January 13, 1779 and remained in that post until the unit was reduced by the State of New York on January 1, 1780. The 4th New York was known during the war as Weissenfel’s Regiment. The regiment would see action in the Invasion of Canada, New York Campaign, Battle of Saratoga, Battle of Monmouth and the Sullivan Expedition. The regiment would be merged into the 2nd NY on January 1, 1781.